Mark Menges - Compass Financial Group, Inc.
Mark Menges has been in the wealth advisory business for more than 20 years. His career has afforded him the opportunity to work with and serve the needs of executives, small business owners, individuals, and families alike. Throughout these experiences, Mark has carefully developed and honed a business philosophy which approaches wealth management from a unique, holistic perspective. Mark serves as the President of Compass Financial Group, a Registered Investment Advisor, and is registered in several states in the area of securities, as well as life and health insurance. 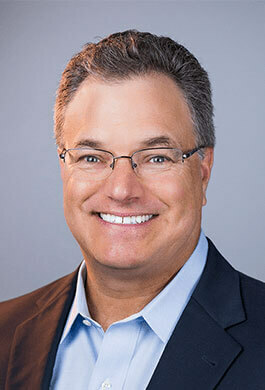 A graduate of The Ohio State University with a degree in Business Administration, Mark has previously been featured on the cover of Money magazine. Throughout his career, Mark has conducted financial sessions for private corporations, non-profit organizations, and industry conferences. He is also a sought-after speaker on various aspects of financial and charitable planning for both television and radio. Mark resides in Powell, Ohio with his wife Lori. Their three children, Ryan, Tyler, and Kristen have left the nest and are becoming successful in their chosen career fields pursuing their individual interests. In addition to his passion for wealth management and his family, Mark also lends his time to improving his community. He is active in several charitable organizations, including Community Development for All People, Family Promise of Delaware County, and Powell United Methodist Church. In 2008, he was the recipient of the prestigious Paul E. Martin Service Award which annually recognizes one individual for their charitable work in the community. When he's not coaching people to athletic, business or financial success, Mark enjoys playing golf, fly fishing and traveling to compete at national-level pickleball tournaments.